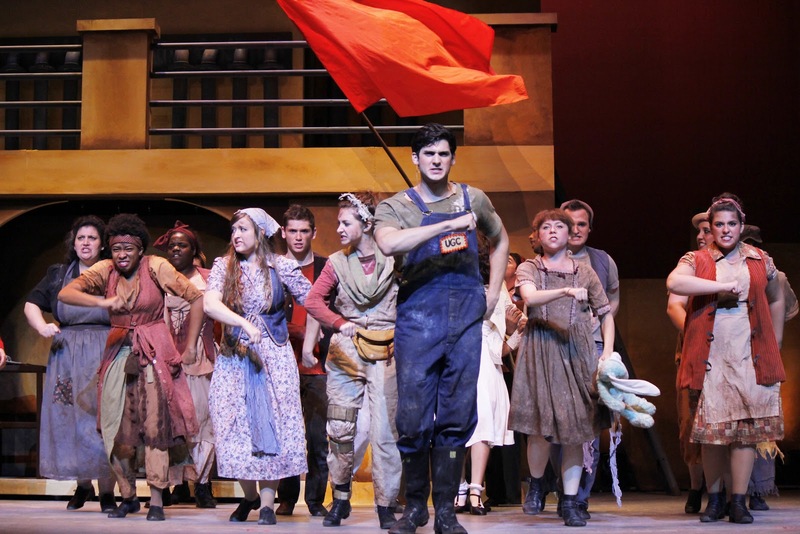 ORLANDO — “Urinetown: The Musical” performed by Valencia College Theater brings entertaining humor from a phenomenal cast and refined musical numbers that deliver note for note. “It’s been a great cast from the first day, they are incredibly talented and very strong singers,” said Julia Gagne, director and producer of "Urinetown." "Urinetown" centers on a city plagued by 20 years of drought where water has become worth its weight in gold. A greedy CEO named Caldwell B. Cladwell played by Brett P. Carson, was given free reign to help fight this issue and did so by imposing strict laws on the people forcing them to pay to use the restrooms. The plays wild scenario of extreme conservation and the ill effects from them are wonderfully conveyed with sarcastic humor by members of the cast including the narrator Officer Lockstock played by Tyler Conrady. Several times the dialogue even makes fun of the musical itself, such as saying nothing can kill a musical like a bad title. Just as you shouldn’t judge a book by its cover, you shouldn’t judge “Urinetown: The Musical” by its name. This play is packed with great moments of humor, catchy music and a real world message that doesn’t get too preachy. Because of the chaos and betrays placed upon the poor people there is an eventual revolt against the powerful, led by the charismatic Bobby Strong played by Antonio Morillo. “I really enjoy the energy that the cast brings, I definitely could not do this without their support, and I really appreciate the efforts they put into the show,” said Morillo. One of the pivotal scenes of this production is a musical number “Run Freedom Run” where the revolution finds its battle cry and Morillo and his fellow cast members deliver a rousing performance that left many in the audience openly thrilled. 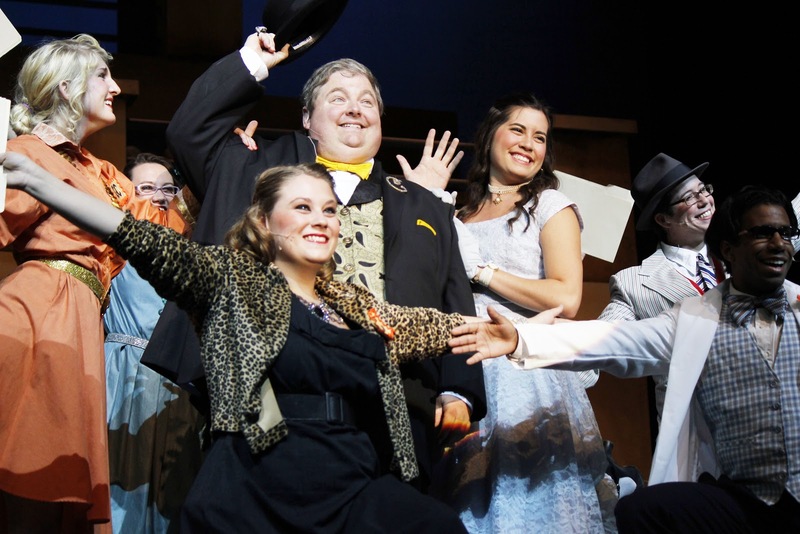 Each of the plays several song and dance numbers drew a large round of applause from the audience on opening night. The vocal performances were perfectly accompanied by the five piece in-house orchestra led by musical director Tim Hanes. 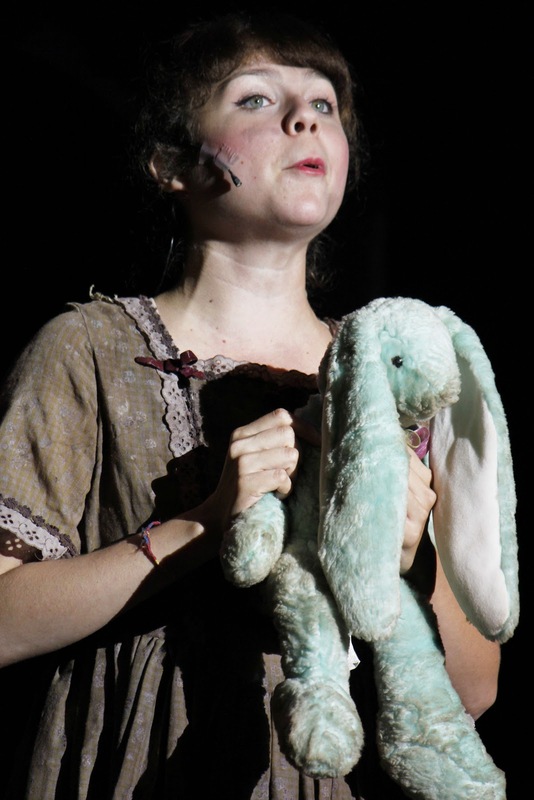 Another standout performance from this production was a heartfelt duet between Bobby Strong and Little Sally played by Dorothy Christopher. “Tell Her I Love Her” catches the audience off guard as it makes sense of tragic loss in a meaningful way, with a somber fond farewell. “She got really caught up with the romance of the rebellion, and with the revolutionary movement, she wanted to change the world like everyone else,” said Christopher. This Tony Award-winning musical that first premiered in late 2001 is fresh and funny, and doesn’t become unbelievable because it brilliantly pokes fun at itself. The audience is allowed to let their guard down and be entertained without worrying about some deep complicated message. 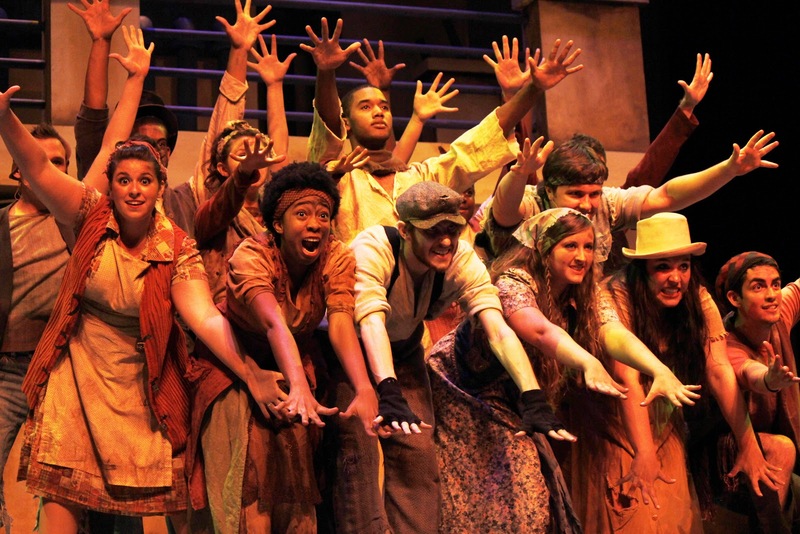 There are only four more chances to see this rendition of “Urinetown: The Musical” at Valencia’s East Campus Performing Arts Center from Oct. 25 – 28. More information can be found at www.valenciacollege.edu/arts. "The Poor" forum together to fight against the rich corporation in "Urinetown: The Musical." Little Sally played by Dorothy Christopher. A kiss between Bobby Strong and Hope Cladwell. The greedy Mr. Cladwell (in black) surrounded by his UGC staff celebrate their control over the poor.